By Craig | December 7, 2018 | This post may contain affiliate links, which means we may receive a small commission, at no cost to you, if you make a purchase through a link. Read our Disclosure. Looking for tips on what to do in Orlando? As part of our city guides series, we interviewed Ben Reed who has lived in Orlando for seven years. 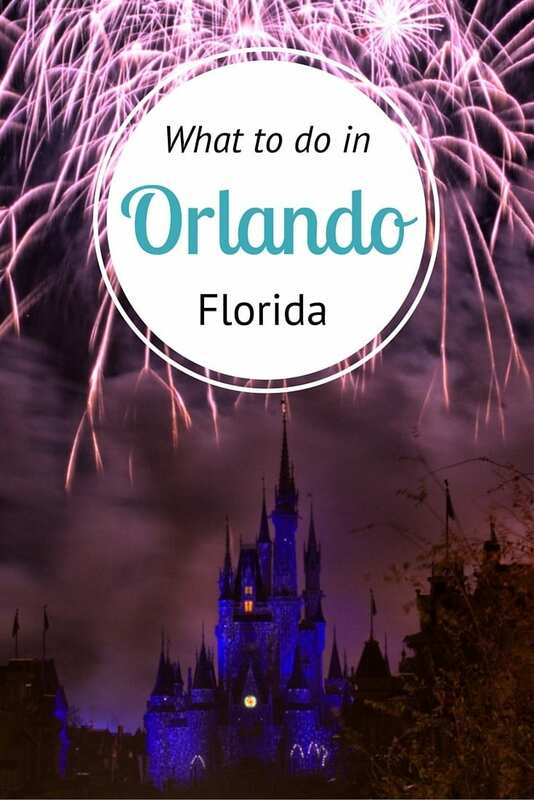 Ben share’s with us his insider tips on what to do in Orlando for those looking for the best things to see and do, where to eat, stay, drink, and play plus how to make the most out of a visit to the theme parks. Most people visit Orlando for the theme parks. The Walt Disney World Resort offers attractions, shows, dining and shopping on a property that is twice the size the island of Manhattan in New York. First time visitors under estimate how massive it really is. Despite the artificiality that Disney Parks are known for, it’s the quintessential American holiday and it really is an experience like none other. And with Universal Orlando, Volcano Bay, Sea World and Busch Gardens Tampa, there are plenty of places to keep you busy. Of course, there’s more to Orlando than theme parks, especially if you want to experience what the locals do. Here are some tips for flying to DisneyWorld. Beyond the theme parks, Orlando offers plenty to keep you busy – which is surprising to many. Cocoa Beach is just a quick 45-minute drive from the city on the Atlantic Coast. Free parking is available at Ron Jon Surf Shop. While you’re there, you might as well go skydiving at Sky Dive Space Center, one of the highest drops in the world at 18,000 feet (5.48km). “Old Florida” is a term that is used to describe Florida in the 1950’s, before the theme parks would arrive. Roadside Americana reigned supreme. Few attractions are still remaining today, but the ones that are still around are some of the best. Gatorland touts itself as the Alligator Capitol of the World, a well-deserved title. The adventurous types can zipline over a pool of hungry gators. If you’re up for a drive, Weeki Wachee Springs gives you the chance to see real mermaids. At night, check out the Silver Moon Drive-In, one of the few remaining Drive-In Movie Theaters around. For $4 per person you get a double-feature of first-run films from the comfort of your car. For a slower change of pace, visit Mount Dora, a charming town north of Orlando. They are known for their annual craft festivals each year and locally-owned shops. You’ll be sure to find a friend here. There’s no doubt about it, theme parks draw big crowds and long lines. But savvy visitors to Orlando know how to avoid them. September and January are generally quiet in the parks. Lines for popular attractions will generally average 20 minutes or so (much short than the 60-90 minutes in the summer). Disney offers FastPass, a ride reservation system that virtually eliminates your wait for several top attractions. It’s included with your park admission. Universal Orlando offers a similar experience, for an additional fee. And if you want to experience Christmas decorations without the crowds, the 1st week in December is the perfect time of the season to visit any of the parks. If you want to experience Halloween at Disney, check out this useful guide. Discounted theme park tickets are hard to come by for out-of-state visitors. And when you add up an entire week’s worth of food, hotels and souvenirs, the number can be quite staggering. AllEars.Net is a great vacation planning tool to the Disney Parks and entire section is devoted to minimizing costs. Theme Park Mom is another blog that offers great advice to all the area parks if you’re traveling with your family. Orlando alone has 7 parks with an additional 5 water parks. You’ll need at least a week to experience it all. 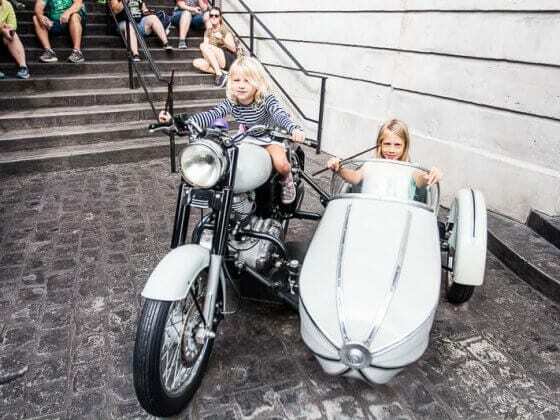 For shorter lengths of stay, a visit to the Magic Kingdom and Universal’s Islands of Adventure (where you can experience the Harry Potter attraction) are the must-dos. You may also want to visit Discovery Cove in Orlando. You can read this helpful guide here. Orlando is a small city, so it’s neighborhoods are equally as compact. At the center of the city is Lake Eola, a nearly one-mile (1.9km) lake that is the focal point of the city. At night, the iconic fountain is lit up in a rainbow of colors and on select night, a fountain show synchronized to music will play. Extending to the east is Thorton Park. Single family homes, tree-lined streets and small boutique shops, restaurants and watering holes make this area a great place to relax after walking downtown. To the west is the heart of downtown Orlando. Orange Ave. and Church street are known for their bars and clubs. Mills Ave. is to the northeast and features trendy eateries. Winter Park, an upscale, neighboring city 1o minutes to the north is another hot spot for shopping and dining and a casual stroll. If your visit is centered around the tourist corridor. You’ll find more than enough shops, restaurants, child-friendly museums, bars, dinner shows and attractions to keep you busy all day and night. International Drive and Highway 192 in nearby Kissimmee offer a mix of both. At first glance, Orlando seems to have nothing but chain restaurants. But if you have your own car, and know a local, they’ll steer you to some fantastic gems. Around the theme parks, Press 101 (website not available) offers gourmet sandwiches and wines at reasonable prices. Live music is played on the weekend. For a special occasion, neighboring Seasons 52, offers a fine dining experience with an ever-changing menu, freshly prepared food and great wines. In downtown Orlando, Pine Twenty2 offers locally-sourced, all-natural hamburgers that are just bursting with flavor. You can build your own or order one of the house specialities. For a sweet ending, stop by The Dessert Lady for freshly made gourmet cakes that are gigantic. Pom Pom’s Teahouse & Sandwicheria is located in the Milk District, a short ride from downtown (near the milk factory). They offer an eclectic array of teas and delicious sandwiches in an urban vibe. But for a true taste of Orlando, you need to schedule your culinary visit around one of The Daily City Food Truck Events. Scheduled on a weekly basis, rotating venues every week, 20-30 food trucks line up with every imaginable cuisine. My recommendation, go direct to the Yum Yum Cupcake Truck. The good news is, there are plenty of places to grab a drink downtown that won’t break the bank. For something trendy, Sky Sixty is a rooftop lounge in the heart of downtown on Orange Ave.
Ember offers food and an outdoor, Mediterranean style patio bar that is always bustling. Along Lake Eola you will find several casual watering holes like the Eole Wine Company and Graffiti Junktion (which also has great burgers). 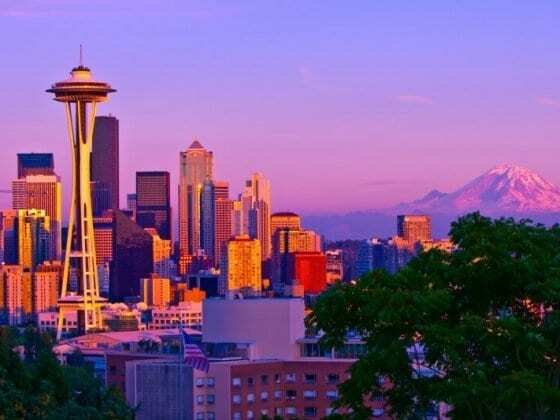 Gay & lesbian travels will want to check out Savoy and Sip for drinks. If dancing is on the agenda, Parliament House offers clubs, drag shows and drinks as does Pulse. If you’re looking to stay up late, Downtown Orlando has several clubs that keep busy until 2 A.M. Your best bet for dancing is on Church Street, which offers a range of clubs. Wall St. located just off Orange Ave. is another popular spot with lots of bars and restaurants. There’s a good chance you’ll stumble upon live music too. Of course, for that late-night meal after dancing the night away, Bananas Modern Diner is a short drive away. And Steak and Shake, a popular chain in the south will give you the greasy food your tummy deserves! If you’re staying near the theme parks, Universal Citywalk offers a variety of clubs with individual tickets available for purchase per club, or an all-in-one access pass. A movie theater and mini golf course are also available. Downtown Disney offers nighttime entertainment with a softer touch, but drinks can be had at Raglan Road, an authentic Irish Pub. If there’s one thing Orlando has, it’s plenty of hotels that cater to all travel budgets. If you’re looking to stay on Disney Property the All-Star Sports Resort, the All Star Music Resort, or the All Star Movies Resort is your best bet for the cheapest price (but still pricey). If you have the budget, Disney’s Animal Kingdom Lodge is my favorite, while Disney’s Boardwalk is located near one of the theme parks, Epcot. International Drive is your best bet for discount hotels, you’ll find plenty. For more places to stay in Orlando choose from the largest range of hotels, apartments, and guesthouses with our partner Booking.com. You get free cancelation on most rooms, and in most cases you only pay when you stay. If you are traveling with a large group of friends or family, check out this 10 bedroom vacation home near Disney World. Both the Florida Mall and Mall at Millenia are popular with both tourists and locals. The Florida Mall has a great mix of stores for all budgets while the Mall at Millenia caters to the higher-end shopper. For great deals, be sure to visit the Premium Outlets. You could easily spend a whole day browsing here. Each of the theme parks offers special events throughout the year. But if you had to only hit one, visit the Epcot International Food & Wine Festival in the fall. Sample-size plates are available for purchase featuring cuisine from around the world. It’s a favorite of tourists and locals. During the winter months, the Orlando Improv Festival, now in it’s 3rd year, has grown in popularity. Each February, the Plant City Strawberry Festival draws huge crowds who celebrate the best fruit around, the strawberry! The springtime brings the Florida Film Festival – a week of independent films with emerging and well-established industry talent. As summer approaches, GayDays Orlando celebrates the first weekend in June with over 150,000 people in attendance at the theme parks. It’s one of the biggest events in Orlando. Downtown Orlando is a very walkable city, and walking is the preferred way of getting around. But Orlando is a city that sprawls out, so if you’d like to visit anything not in downtown, you’ll need to travel by car. Public transport by bus is available (GoLynx), but not convenient if time is important to you. You’ll need to make several transfers to get anywhere and the frequency of busses is not timely. If you’re staying along international drive, there is a trolley that runs up and down the length of the street, making frequent stops. Brighthouse Networks provides free wireless hotspots at select locations throughout the city if you are a local internet subscriber. However, some of the social media savvy smaller business are embracing free wifi for customers and making it available. It’s always a good idea to ask. Additionally, many of the Orlando restaurants have embraced social media and offer deals through Yelp and Foursquare. Be sure to check-in! If you’re in town for an extended time, Miami Beach is just a short 3-hour drive from Orlando. It’s one of my favorite week-end getaways. It has some of the best beaches in the country, amazing nightlife and an awesome vibe. The best time to visit Orlando is in October and March. Each month is warm enough for you to take full advantage of beaches, water parks and all the other outdoor activities, but without the humidity that the summer is notorious for. 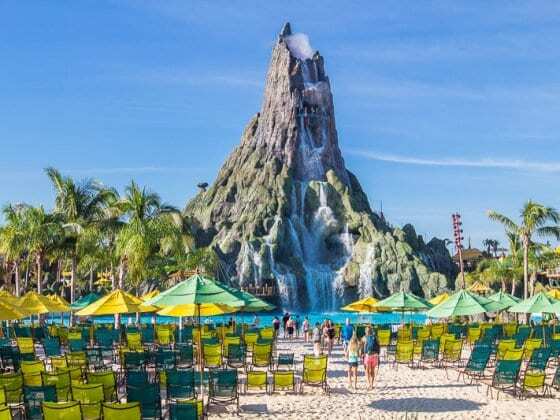 October tends to be less crowded at the theme parks than March (popular with school spring break), but there is always the looming threat of a hurricane interrupting your trip – though the likelihood for that is minimal. With Orlando being such a popular destination, direct routes from most major airports in the United States are almost always available and competition keeps prices reasonably affordable. Direct flights from destinations in Europe and South America are also plentiful. Orlando is served by both busses and rail, but the logistics of getting to the main tourist corridor are cumbersome at best. You’re better off renting a car from the airport. One of my favorite local spots is tubing down the Rainbow River. Load up your car with a picnic lunch, rent an inner tube and drift aimlessly away down the crystal clear, sparkling river. It’s pure relaxation! You can almost guarantee that when the rest of the country (and the world for that matter) are bundling up to keep warm, Orlando is experiencing sunshine and perfect weather all year round. Booking.com has 500+ properties in Orlando including hotels, apartments and villas. You get free cancellation on most rooms and a best price guarantee. BIO: Ben Reed is a travel blogger at adventureswithben.com that writes about extraordinary destinations around the world. He’s walked with lions, bungee jumped in front of Victoria Falls and is a member of the Sour Toe Cocktail Club. You can follow him on Facebook, Twitter and Placeling. Do you have any tips on what to do in Orlando? Orlando is near the top of my “places to retire and lay around and do nothing but swing in a hammock all day” list! For a great investment, buy your retirement home now – prices are rock bottom! Ha! But Orlando is actually growing quite nicely. There are more and more downtown businesses opening and a new arts center will open in a few years. And not too far down the road is a new tech center. So in 30 years, it’ll be even better! Ever ride a hammock in a hurricane! I’m not a big fan of theme parks, so it’s nice to see things to do in Orlando besides Disney. And that cake looks amazing! There is a pretty clear distinction between Theme Park Orlando and everything else. Most travelers to Orlando never experience the everything else part, so it’s surprising when they read that there is more to Orlando. And yes, that cake was delicious – just ask my expanding waistline! What a great article! I have been to Orlando many times (my parents live there through the winter) and you’ve put me onto some new spots! Love it or hate it, Orlando really has a lot to offer even if you hate big theme parks. Weeki Wachee is certainly worth the drive if you’ve got a bit of extra time. It’s a lovely spot and the mermaid show is really something. You can read about our visit at http://www.packyourpassport.ca/2011/11/wacky-wonderful-weeki-wachee-springs.html. We have enjoyed many day trips to Mt Dora and Winter Park, both fun places for an excellent meal, just wandering around and visiting the playgrounds with our toddler. Tampa (including Busch Gardens and scenic Ybor City) and Clearwater are also within 90 minute drives to the west of Orlando, and make enjoyable day trips. DINING IN ORLANDO WITH KIDS: Visiting Orlando, it’s easy to find yourself eating at fast food and large-scale chain restaurants where you often have to trade off a delicious meal in favor of a family-friendly place. But there are some great family-friendly options which will please both kids AND adults. Wolfgang Puck Express in Downtown Disney Marketplace offers delicious brick oven pizzas, pastas and fresh salads in a casual family-friendly setting. Boma at Disney’s Animal Kingdom Resort has an excellent African-themed buffet with something for everyone and the service is fantastic. Chef Mickey’s at Disney’s Contemporary Resort is a great venue for character dining. There are lots of options on the buffet to please even the pickiest of eaters and kids love table visits from their favorite Disney characters. Our most recent visit to Chef Mickey’s was with my niece who is allergic to nuts, and we were blown away with how accommodating the staff were to make sure she had many safe options. The Contemporary Resort is handy because it is on the Disney’s Monorail system, and it is a great vantage point from which to watch the evening fireworks shows. The best spot is actually the smoking area on the hotel’s terrace – sounds horrible, but there is lots of space up there, and it is very easy to get away from anyone smoking (though in our experience, there are few smokers out there anyway). If you find yourself in Haines City, Lake Wales or Winter Haven (in any case, this place is worth the drive) and have a big appetite, check out Manny’s Chophouse. Manny’s has excellent seafood, sandwiches and ribs in huge portions. There’s always a line-up and they don’t take reservations, so be sure to go early and call ahead to get on their seating list. If you don’t feel like waiting, call ahead for take-out. Manny’s is very busy, and though not uncomfortably loud, it is unlikely fellow diners will be disturbed (or even hear) a fussy baby or toddler. The town of Celebration is home to several tasty options. There’s a branch of Tampa’s famous Columbia Restaurant with a kid’s menu in addition to adult favorites like their renowned table-tossed 1905 salad, gazpacho, tapas and other Spanish dishes. The Celebration Town Tavern serves up an extensive menu of New England-style favorites and has an extensive kid’s menu. I can’t leave Orlando without having their Maine lobster roll sandwich. From the end of November to the end of December, Celebration also hosts nightly ‘snow falls’ (check out http://celebrationtowncenter.com/events/now-snowing), which kids get a kick out of. Your tips are spot on! And Weeki Wachee is very classic Florida! What awesome tips from Ben! I had no idea Orlando had that many non-Disney related things to do (although I do love me some Disney). Cocoa Beach looks beautiful, and The Dessert Lady and Pine Twenty2 will definitely be on my list if I roll into Orlando when I’m in Florida next year. May have to give the skydiving a miss though, getting light-headed just looking at that photo! Tom, I was so nervous the day before. But I’m telling you, I would do it again in a heartbeat! I imagined there’s stuff to do in Orlando besides the parks if one really looked, yet I had no idea Orlando had festivals and skydiving opportunities! If I ever make it there, I hope to come for one of the festivals. 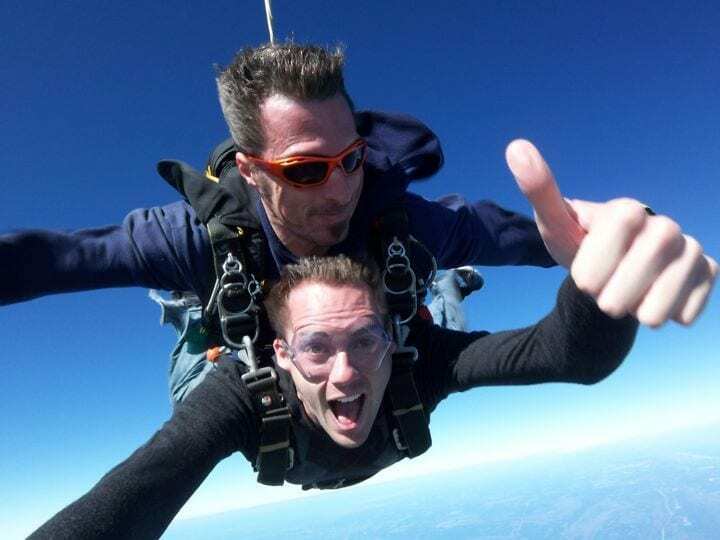 Maybe I’ll even go skydiving again! It took me a while to see beyond the theme parks too, but now I’ve become a big advocate! Perfect timing! I’ll be in Orlando for a conference (at a Disney resort) in September and been trying to plan my visit and figure out what else we can do while there. This will come in so handy. Thanks! :)We’ve never been to Florida and I’m missing the beach so bad, so we’re hoping for a few days before or after to rent a car and drive to the coast. I know you suggest many Miami beach, but what would be your suggestion for something a little more quiet, yet beautiful beach? Atlantic or Gulf? Sabrina, from Orlando, there are two beach options: Cocoa or Clearwater. Cocoa Beach is about 45 minutes from Orlando, so it’s a bit closer, but the beach is average (not great) Ron Jon Surf Shop offers free parking. Clearwater Beach on the Gulf Coast is much nicer, but the drive is further. Either are great choices. I love the convenience of Cocoa. Thanks for the tips!! Since I moved from Germany to Texas and got used to the crazy distances here anything within maybe 3 hours would be totally fine for a 3 day trip 🙂 I checked out Clearwater beach. Looks very nice! are all the beaches close to the city though? Is there anything a little more natural maybe? And… on the off-chance that this is a possibility…. do you know if there is any scuba diving within a 3-hour radius of Orlando by any chance? It’s not a prerequisite, but would sort of be the cherry on top since we haven’t been in a while. The beaches aren’t close to the city per se, they are about 45-75 minutes, but it’s an easy drive. If you want natural, fresh water, check out Wekiwa Springs or the Rainbow River. Both are equaly great fresh water escapes. For SCUBA, your best best is to drive 3 hours south to Ft. Lauderdale/Miami/Boyton Beach. There are plenty of outfitters out there! Thankyou Ben for sharing this great post with us.It was of great help. the disney world is certainly a wonder in itself. We just found out our 2 year old grandchild will be visiting in December. Can you recommend any low-cost places to take her? She likes everything from climbing to art projects. The Disney character breakfast scared her 6 months ago, so we’ll wait a bit before going to a theme park. Thanks! Wifi is pretty easy to find. Most retail places offer it now. It’s been a few years since I visited Orlando, but hands down the most fun we had was at Discovery Cove. It’s a great place for kids of all ages and us adults had a lot of fun too. We swam with dolphins, stingrays and countless others salt water fish. We relaxed in our own private cabana ( I highly recommend splurging) and enjoyed breakfast and lunch while we were there – it’s included in the price! How about an airboat ride and see the some wildlife? Great blog post by the way…Central Florida really has so much to offer tourists AND locals! The Yum Yum Cupcake Truck is one of our favorites! I’m so happy to see them get some love. My family and I visit Orlando once a year as our big family vacation. We always stay within walking distance of Disney. Disney has some of the best food! Liberty Tree Tavern in Magic Kingdom has the best mashed potatoes EVER! That’s a very complete guide. You covered everything. Many people come to Orlando and only experience the Disney parks, Sea World and Universal. But there’s much, much more. Church St is a very cool place, that ended up loosing some of its appeal when Pleasure Island, Citywalk and other theme park night activities opened up. Hey, there, I have become a big fan of your blog! If it’s a trip for families, couples, single travelers or friends, you’ll find so many things to do in Orlando. Thanks dear for sharing this great concept with us. Hi I’m going last week of october with my family and I want to know which park should I go. Animal Kingdom or Hollywood studios. I won’t have time for both. Great topic with awesome information. Thanks a lot for sharing this amazing article. This is one of the fantastic Article for Orlando things to do. Here are few more great Things to do in Orlando.